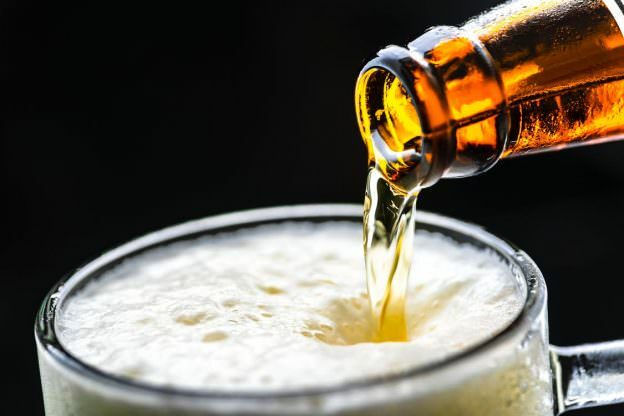 Alcohol was recently rated as one of the top five most addictive substances in a survey involving addiction experts, psychiatrists, psychologists and physicians. The World Health Organization (WHO) reported that in 2016, more than three million people died as a result of alcohol abuse and was responsible for 5.1% of the global burden of disease and injury. New research reveals some insight into why it commands such a position among physical health and mental health professionals and results in such devastating effects on public health. Most people are aware what genetics are and are familiar at least somewhat with what DNA is and how these things affect everything from baseline health to arbitrary physical traits such as hair color and skin tone. However, epigenetics is lesser known and refers to the situation that occurs when dormant genes are triggered into activity, active genes are shut down or a typical genetic function is displaced or otherwise changed. The study found that binge and heavy drinkers had epigenetic changes that resulted in more cravings of alcohol and risk of addiction to the substance. The research findings, which were published in the journal Alcoholism: Clinical & Experimental Research, were accompanied by experiments involving a variety of participants exposed to images and alcohol. The subjects were evaluated based on their motivation to drink provided beer after being shown images ranging from general alcohol related images to stress related images. Their responses backed up the studies made into epigenetic changes occurring from heavy alcohol use. Alcoholism continues to be a widespread problem, with over 2 million Americans yearly going untreated for their alcohol abuse. Socially, it’s acceptable for many behaviors which are clinically discouraged such as heavy drinking in social situations that lead to hangover, drinking in times of sorrow as a medication, drinking to minimize social anxieties and other situations. On top of that, alcohol-related deaths aren’t as attention grabbing as overdoses such as with other drugs. Long term use leads to irreversible liver damage, contributes to various kinds of cancer because of it’s inflammation properties on tissue, and even contributes to heart-related illnesses. In addition to these, alcohol-related incidents that result in injuries or fatality are not socially seen in the same league of overdose, despite the end results being virtually identical. Alcoholism continues to be a part of the discourse around whether addiction is a disease or not. It’s evident that because alcohol is sold in most grocery stores and gas stations, then it feeds on biases within people’s perceptions that alcoholism is a choice and that bad decisions are the beginning and end of what they think it is. This study, however, just piles onto overwhelming evidence that all addictions share the same space as chronic diseases and require treatment and therapy to overcome when it manifests into a severe condition. Addiction is a chronic illness. If you or someone you know is seeking rehabs in NJ, call Discovery Institute at 844-478-6563. Discovery is the top rated drug rehab center promoting sober living in New Jersey.